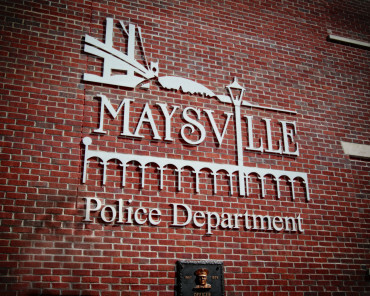 The Maysville Police Department is a full-service organization committed to providing help-oriented police services to the Maysville community. Our challenge is to correctly identify problems, set priorities, and work in harmony with the community to keep Maysville a safe place to live. As an accredited police agency, the Maysville Police Department is one of 60 police agencies in Kentucky that is accredited through the Kentucky Association of Chiefs of Police Accreditation Program. To be an accredited agency, a police department must meet 140 standard in such areas as policy and procedure, training and equipment. Each Maysville Police Officer is required to successfully complete 18 weeks of Police Basic Training conducted at the Kentucky Criminal Justice Training facility in Richmond, Kentucky. In addition, each sworn officer is required to successfully complete no less than 40 hours of annual in-service training as approved by the Kentucky Law Enforcement Council. To further the relationship between schools and police, Maysville Police Department implemented the “Adopt-A-School” program. Each officer selects a school to visit at least once per shift. This allows students to become familiar with the police and to feel comfortable around them and allow children the opportunity to interact with police officers.